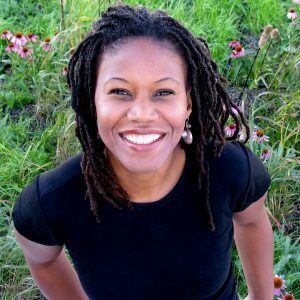 Majora Carter is the President of the Majora Carter Group LLC, which offers consulting services in environmental assessment, compliance, and planning. Carter simultaneously addresses public health, poverty alleviation, and climate change as one of the nation’s pioneers in successful green-collar job training and placement systems. In 2001 she founded Sustainable South Bronx to achieve environmental justice through economically sustainable projects informed by community needs. Her work now includes advising cities, foundations, universities, businesses, and communities around the world on how to unlock their green-collar economic potential to benefit everyone. Carter designed Hunts Point Community Composting Project as well as initiated and raised funds for Hunts Point Riverside Park, the first waterfront park in the South Bronx in sixty years, and for the South Bronx Green & Cool Roofs Demonstration Project. Co-founder of the Southern Bronx River Watershed Alliance, she is also former chair of the Bronx River Alliance. She served on New York Governor Elliott Spitzer’s Energy and Environmental Transition Team and the Clinton Global Initiative’s Poverty Alleviation Panel. Carter is a board member of the Widerness Society, SJF Ventures, and CERES. She hosted “The Promised Land” on public radio’s Launch Minneapolis, and “Eco-Heroes” on the Sundance Channel. Majora Carter received a B.A. from Wesleyan University in 1988 and a MFA from New York University in 1997.